At Tempe Smiles Family Dental, we provide state-of-the-art services and personalized care for your unique smile. Our tools and technology were selected specifically to increase comfort, safety, and efficiency and provide a dental care experience you’ll want to share! 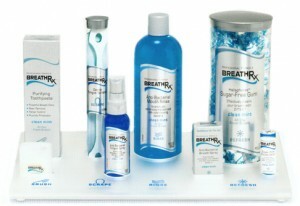 If you are one of the millions of Americans who lives with bad breath, or halitosis, BreathRx can help. Bad breath occurs when the bacteria in your mouth reproduce and feed at a faster rate than your saliva rinses them away. This process releases gaseous waste products, which cause foul-smelling odors known as volatile sulfur compounds, or VSCs. We’ve invested in a new way of looking into your mouth – a procedure that’s fast, comfortable, and incredibly precise. Using digital radiography, we can clearly identify all external and internal anatomical structures and accurately diagnose your dental problems. Even more amazing, we can immediately translate that information into a large, clear, accurate image, projected onto a monitor that patient and doctor can study together in the operatory. You won’t even have to leave your chair. Digital radiography’s technology improves and simplifies the way we care for our patients’ teeth, resulting in better dental evaluations and treatment decisions. As the most important member of your dental team, you need to understand the condition of your mouth, as well as our recommendations for treatment. 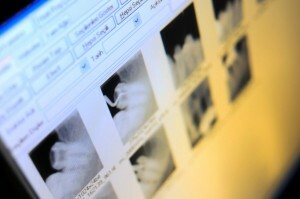 Digital radiographs help us help you. Just as an engineer creates a model to ensure that a machine will work correctly, the dentist often fabricates a wax-up model of jaws and teeth when working on more complex restorative or cosmetic cases. By building an accurate model of your mouth, we can test prosthetics, veneers, and other dental work to ensure a proper fit. You can also see what our proposed solutions will look like on the wax model, so you’ll make a truly informed decision about your dental work. If adjustments are required, the dentist adapts the model to reflect changes before the case goes to the dental laboratory. Wax-ups provide us with a realistic projection of how your dental work will look and function, which results in more accurate restorations.